This was the moment in 1985 that Ian McAndrew knew he was never going to hit the big time. 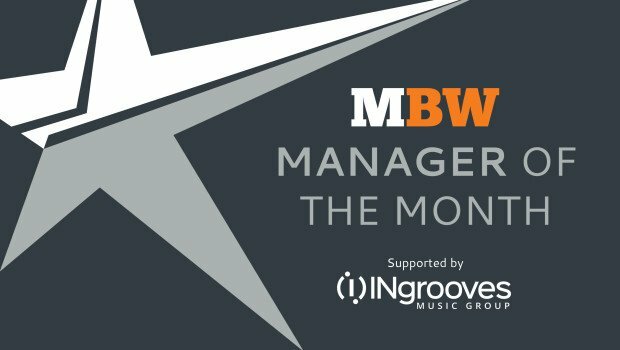 Fortunately, McAndrew, today crowned as MBW’s first ever Manager Of The Month (supported by our friends at InGrooves Music Group) hasn’t done too shabbily in his fall-back career. Over the past quarter of a century, his Wildlife Entertainment has looked after chart-conquering acts including Travis, Brand New Heavies, Royal Blood and, of course, Arctic Monkeys – the Brit-rock phenomenon for whom McAndrew has remained a protective, wise ally for over a decade. But here’s something not a lot of people know: if it wasn’t for Jimmy Tarbuck, Sean Connery and some AOR rockers in lycra pants, none of this might ever have happened. For now, let’s take a whistle-stop tour through McAndrew’s school days growing up in Bury St Edmunds, Suffolk – a pretty market town in the East of England. McAndrew was a promising pupil, even being named head boy of his local comprehensive, but it wasn’t exactly an environment rife with ceaseless ambition. For McAndrew, the drummer in an on-the-rise local band, the bright lights dazzled. A year later, McAndrew’s hopes of becoming Ringo Mk.2 had officially been dashed, and his hi-hat hawked to the metal heads from SE15. From there, he followed the natural path of many a beleaguered musician – landing a job in a bar. Based in London’s Square Mile, he spent his days filling the flutes of stock brokers and financiers, all growing fat on Thatcher’s Britain. One regular punter liked McAndrew’s patter enough to offer him a ‘proper’ job selling insurance. It will come as little surprise to label types who’ve ever been locked in negotiations with McAndrew that he wasn’t half bad at this venture. In fact, McAndrew’s style of flogging over the phone was so confident, it got noticed by American venture capitalist, Dan Layman, who subsequently offered him a job as his aide de camp. After life in a band followed by a commission-based sales gig, Layman’s offer of a steady salary was melody to McAndrew’s ears. And so begins the story of how Jimmy Tarbuck and Sean Connery played a brief but arguably vital role in the success of the Arctic Monkeys. One afternoon in 1987, McAndrew caddied for Layman around Wentworth golf course. Other participants included figures from the golden age of UK entertainment – Tarby and the greatest James Bond included – as well as some showbiz industry heavyweights. Between holes, an acquisition deal went down: Layman snapped up small publisher More Music. McAndrew’s golden ticket had arrived. “I told Dan I loved music and was incredibly keen to be involved in the new company. McAndrew’s first signing to More Music were a writer-artist duo, J J. He doggedly refused to let them go unnoticed. Hard graft invested, success began to beckon: Gordon Charlton at CBS Records was keen to sign J J (pictured), and rising star Colin Lester stepped in as their manager. Behind the scenes, though, More Music’s owners were losing interest. After a failed attempt to float the business, Layman decided to offload. “I was emotionally invested in the songwriters I’d signed ” says McAndrew. This first flush of entrepreneurial glory hit the 21-year-old McAndrew like a fizzy stimulant. Buoyed by his prowess as an insurance salesman and emboldened by his publishing success, McAndrew’s next step was teaming up with Greg Rogers, formerly Head Of International at RCA, at mid-league artist management firm Wildlife Entertainment. Wildlife’s roster mainly consisted of US-based producers, but included British ‘80s AOR band FM, signed to Epic. Then, in 1991, another exit and another opportunity: Rogers was offered a plum job working for Walt Disney in Hong Kong, so McAndrew bought him out of Wildlife. 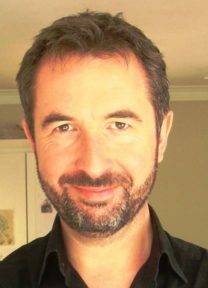 Now a self-made business owner, McAndrew struck paydirt with his first signing: Bradford-based singer Tasmin Archer. Archer’s Sleeping Satellite, released on EMI in 1992, became McAndrew’s first No.1 smash, selling more than 200,000 copies. As the early nineties hit their stride, acid jazz was at the forefront, and McAndrew wanted a piece of it. After The Brand New Heavies stepped through his door, he invited his friend Colin Lester into Wildlife to co-manage the band. This was the start of a 14-year relationship between McAndrew and Lester; the decade-and-a-half that really put Wildlife on the map. “I always liked Colin – he was never short of great wisecracks and was brilliant company,” says McAndrew. 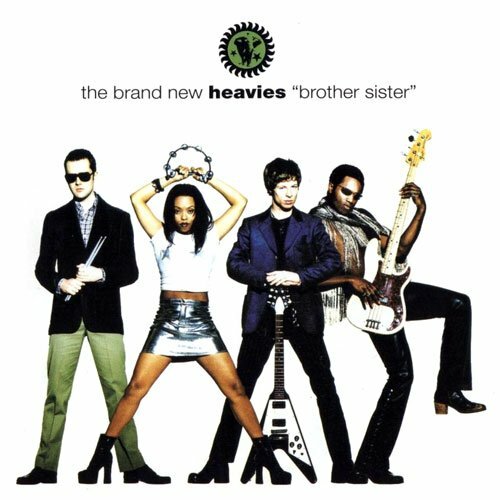 Things began to motor: as The Brand New Heavies’ 1994 album Brother Sister achieved multi-platinum success around the world, Lester and McAndrew came across a Glasgow four-piece called Red Telephone Box. They signed with McAndrew, changed their name to Travis, and beguiled a nation. “Blair McDonald and Charlie Pinder, then at Sony Music Publishing, had signed them, and I remember getting 22 or so demos on this cassette,” recalls McAndrew. The band, led by smart-headed frontman Fran Healy, shipped down to London on a National Express coach to meet McAndrew and Lester in Camden’s none-too-salubrious World’s End Pub. The majors swooped but McAndrew – as he would again in years to come – went with his gut. The band met Andy MacDonald, the indie impresario who had just sold Go-Discs to Polygram. At this point, MacDonald had no official label – let alone any official staff – but it felt right. “Andy has always been great with artists,” says McAndrew. “It was a brave move because his future label plans were slightly uncertain but we invested in Andy and his vision. Travis’s second record, The Man Who, eventually arrived on Macdonald’s Independiente label in 1999. It was wistful, elegiac and completely out of step with the crunchy, voguish sound of Britpop 2.0. The public fell head over heels for it, driving the LP to eight-times platinum success – and Travis to a triumphant headline slot at Glastonbury. This was all fantastic for Wildlife, obviously. But it also led to an inevitable challenge for McAndrew; guiding a band he loved towards a natural plateau following a commercial big bang. 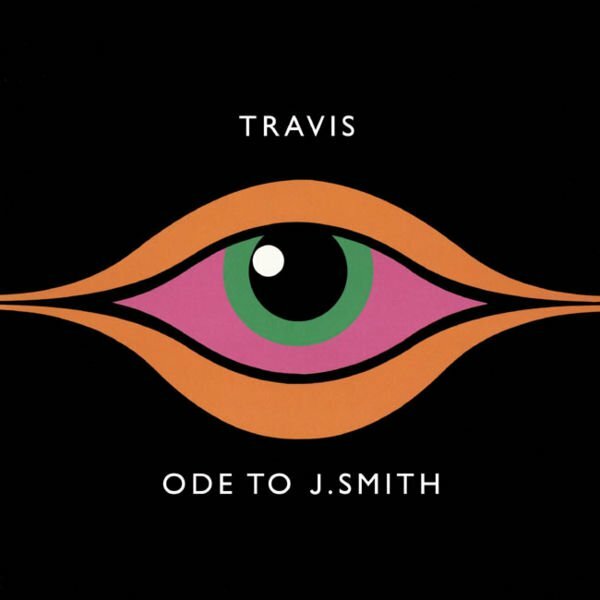 Travis have remained a popular draw for 20 years, while critical reception for excellent albums such as 2008’s Ode To J Smith (pictured) suggest their creative fires still burn fiercely. Meanwhile, McAndrew has helped the band take full control of their destiny. After parting with Independiente in 2007, Travis have self-released through partners such as [PIAS] and Kobalt, with McAndrew handling project management responsibilities – ensuring the band see a tidy return from their small business. When asked how he manages the inevitable commercial slowdown of artists, McAndrew replies: “First you remind yourselves what achievement really is; how to quantify success. “To some degree, in any business, that will always involve monetary reward: sales, chart positions, maybe awards or other tangible pats on the back. “But actually, in truth, success is simply the ability to be able to do what you want to do. No surprises, then, that McAndrew is very, very proud of a particular bunch of quick-witted scamps from High Green, Sheffield. Whatever your personal definition of music biz success, the career of the Arctic Monkeys is something to behold. On release, the LP hit No.1 in their home country as well as Australia – and reached the summit of the Billboard Independent Chart in the US. Since then, the group has released four more acclaimed albums, evolving their sound through wryly-observed teenage melodrama, whacking Deep Purple riffs, incandescent post-punk bangers and, on latest smash AM, even some G-funk hip-hop beats. McAndrew has been there advising, and applauding, every step of the way. However, the manager admits that he would have never met the band if it wasn’t for his loyalty to one of the music business’s good guys. “For a period in the early noughties, Colin and I were running a label called Wildstar, a joint venture with Telstar,” he recalls. 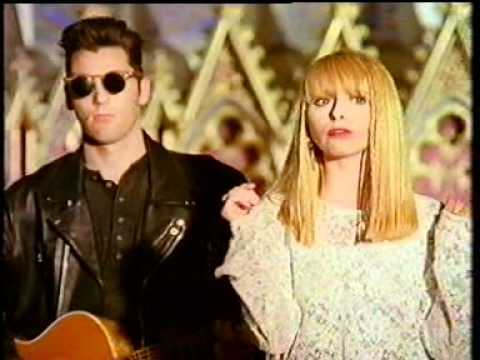 “I signed a group from Sheffield called Sea Fruit, fronted by the singer Geoff Barradale and his co-writer Alan Smyth. One great song, Looking For Sparks, snuck into the charts, but generally speaking nothing else stuck. McAndrew tussled with Telstar to ensure Barradale and Smyth were given back their rights, and even handed them some additional farewell cash out of his personal account. Geoff Barradale didn’t forget it. A few years later, Barradale entered into a deal with McAndrew to search out music in the North of the UK – and discovered the band of a generation. “Colin and I drove up to see the Monkeys in this pub in Sheffield,” recalls McAndrew. “It was a bit scrappy but exciting and there was a good crowd. We chatted to the band after the gig, but they didn’t do much chatting back. In the Arctic Monkeys very first studio session, they recorded I Bet That You Look Good On The Dancefloor and When The Sun Goes Down; still staples of summer festival singalongs (and elbows-out pogo-a-longs) a decade on. Visit McAndrew’s home in Richmond today, and you’ll find a famous email on the wall – one sent to the Arctic Monkeys late one night in these fledgling months. It informs Turner, Helders et al. that, as exciting as their first ever demos were sounding, their ex-cymbal-pounding manager felt the drumming “a bit squiffy”. “They’ve literally never let me forget it,” says McAndrew. “They framed it and gave it to me as a present when they first sold out Cambridge Corn Exchange. Turn the printout over, though, and you’ll find a more telling emblem of McAndrew’s tight-knit relationship with the band: a handwritten piece of reassurance from a young Alex Turner letting his protector know this was an authentically harmless prank – not a resignation note. 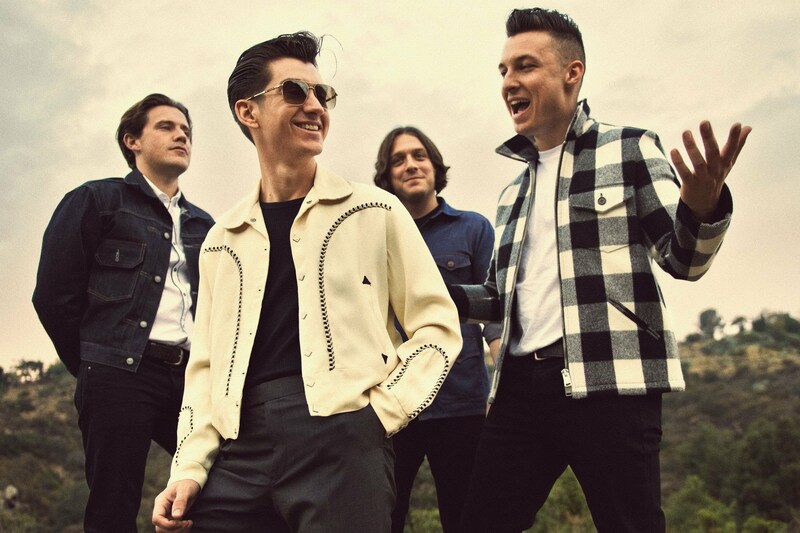 With the UK press, record labels and – above all – music fans flipping out over the Monkeys’ early ascent, Wildlife had a tough decision to make. “I remember an early gig that Amy Winehouse attended above the Garage in London – lots of A&R men were there,” says McAndrew. 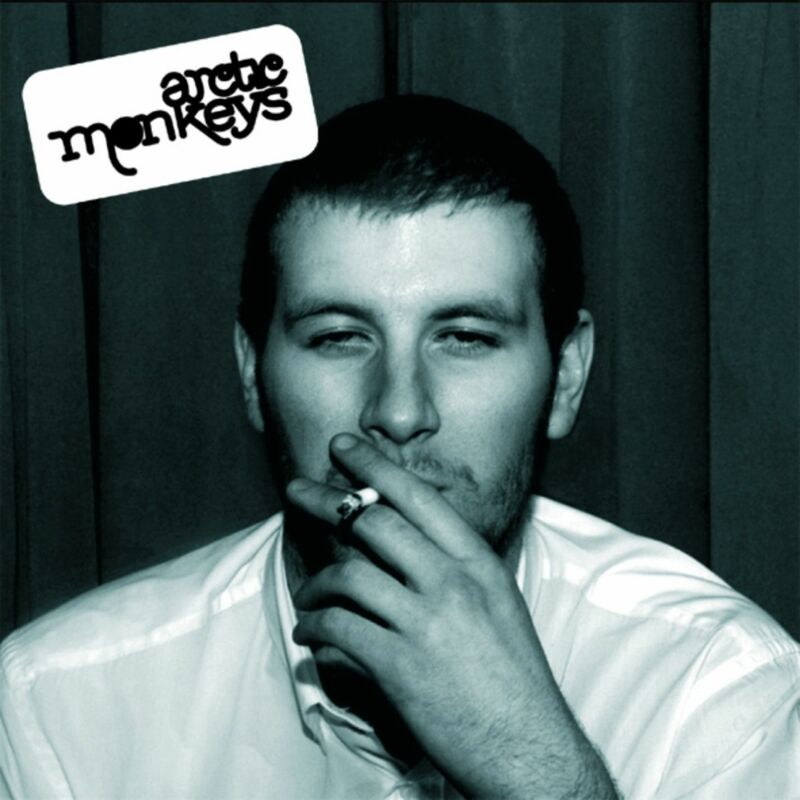 That record became Five Minutes With Arctic Monkeys, entirely issued on the band’s own Bang Bang label. A limited run of 1,500 copies were printed – 1,000 CD, 500 vinyl. They sold out in no time. Fifteen years after McAndrew wore down his shoe leather banging on the doors of the major record labels – Lucian Grainge included – the tables had well and truly turned. 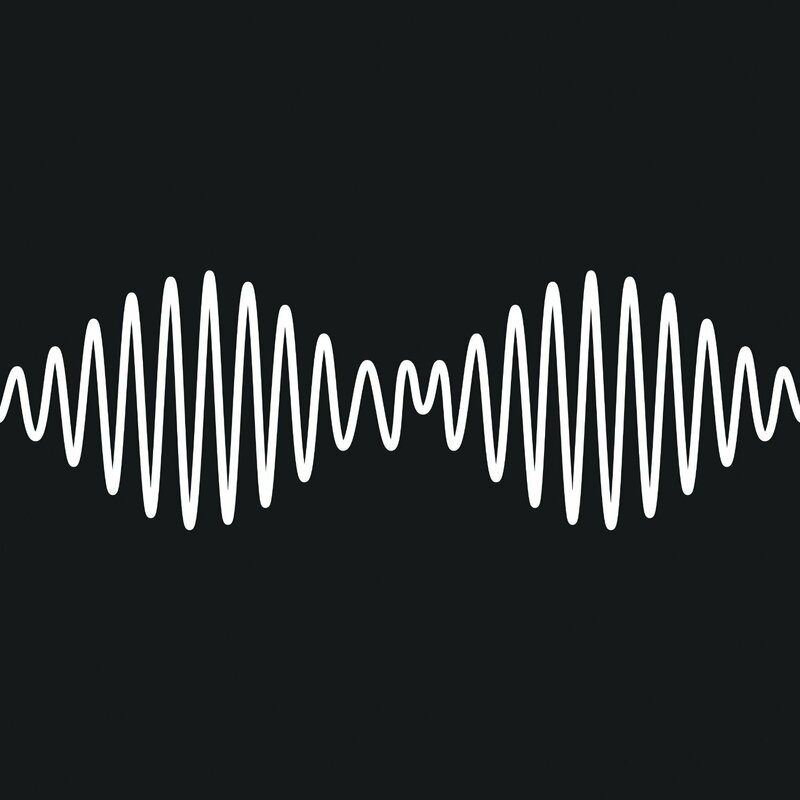 “EMI, run by Tony Wadsworth at the time, were really interested in signing Arctic Monkeys,” reveals McAndrew. “We liked them and we got to contract stage. What wasn’t quite so reassuring for McAndrew and Barradale was their instincts. Before yet another sold-out early gig, this time in Nottingham, the duo shared a Chinese meal with the EMI team, who’d travelled up en masse. “The band didn’t come to the dinner, of course, demonstrating their complete lack of interest in the business side of things back then,” says McAndrew. On their return to London, McAndrew did the sensible thing: he called Domino boss Laurence Bell, and asked if he was interested in working out a deal. “Laurence came to the Wildlife offices, we sat down an worked out a simple agreement in a couple of hours,” says McAndrew. “There was no fuss and it immediately felt right. “Domino have been brilliant ever since. They’ve given the band complete freedom, but they’ve also provided great ideas. Released in September 2013, it’s another record-breaker, topping no less than four Billboard charts in the US – and making the Monkeys the first independent artist in history to score five consecutive No.1 albums in the UK. Clearly, the reciprocal respect between the band and their manager is stronger than ever. But did the surlier, teenage Monkeys put trust in McAndrew’s decision-making back when he was spurning EMI; one of the most powerful record companies on earth? “They trusted in themselves,” he wryly responds. “Despite being young, they had a very intuitive, instinctual capability to determine what was right and wrong. He adds: “That band have genuinely never concerned themselves with commercial success. They really aren’t fussed. “All they’re fussed about is making music and having a good time in their gang of mates. “You genuinely can’t predict what might happen next with Arctic Monkeys; I enjoy that element of surprise. But whatever they do, you never lose faith, particularly in Alex as a writer. “His skills, his lyricism especially, have been growing all the time. Colin Lester (pictured with client Craig David) parted ways with McAndrew in 2007, leaving the Bury St Edmunds boy running Wildlife solo. A few non-Monkeys successes have come and gone – I Am Kloot and Paolo Nutini amongst them – but right now, his focus is on maximising Royal Blood’s rise in the States. The rock duo have won the enthused backing of some huge names in radio in the US – not least Sirius XM’s Howard Stern and Beats 1’s Zane Lowe – and have scored a potentially career-making support slot on the 2015 US Foo Fighters tour. As for their record deal? McAndrew has approved something he’s rather unaccustomed to signing: a worldwide major record company contract, with Warner Bros.
“We knew when label A&R people came to see Royal Blood live, jaws would drop,” he said. “The noise, the quality of the songs, the way they looked – it was really impressive. “Early on, XL showed quite a lot of interest. We were intrigued by that, as most people would be, because they have such a fantastic roster. “But when [Warner Bros UK boss] Miles Leonard and his team came down, they demonstrated a really genuine and passionate interest. It was evident Miles was charged up by the band and that was pretty infectious. 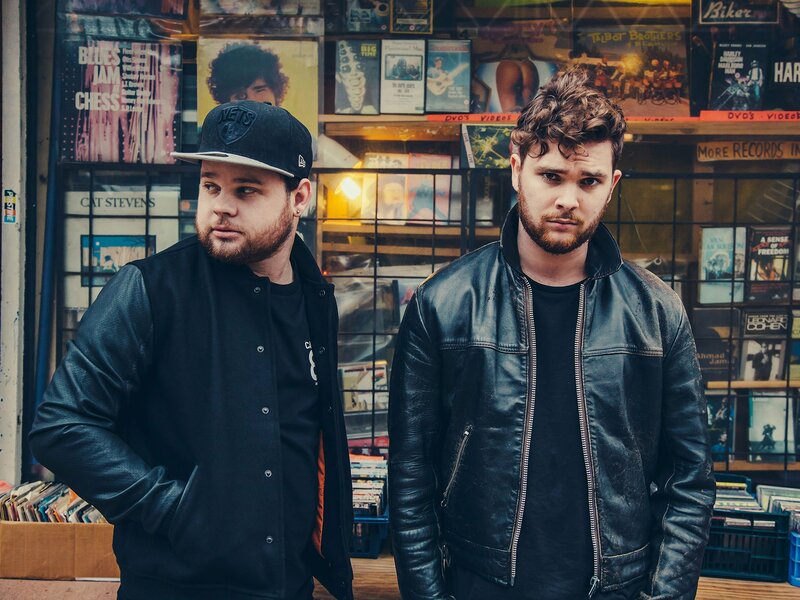 Just as with Five Minutes With The Arctic Monkeys – and even earlier with Travis’s All I Wanna Do Is Rock – Wildlife completely self-funded the recording and release of Royal Blood’s first single, Out Of The Black. Once again, McAndrew was in no rush to sign his act to a record company – and unafraid to take command of those vital, fragile early months. Does he feel the industry power balance shifting from labels to artist managers? “More responsibility is coming to managers, certainly, and that responsibility requires you to invest in artists,” he replies. “Whether that directly equates to power is another debate. “As technology has evolved, it’s enabled artists and managers to become more self-determining – as has the growth of services arrangements from Kobalt, Cooking Vinyl, Caroline, [PIAS] etc. “However, I’m still a believer in the record label. I know some people say it’s all over, washed-up. I don’t subscribe to that. That all being true, McAndrew advises young managers to follow his example – and never put pen to paper too early in an artist’s career. “Getting a record deal feels like a tangible sense of accomplishment and that’s very tempting,” he says. “Even The Beatles would wait at Liverpool train station for Brian Epstein to return with news of interest from record companies. “But to my mind, the barometer you should never take your eyes off is the fans – the growth and development of an audience. It’s all that matters.